I have a soft spot in my heart for this show and I'm elated that the ATC Youth Ensemble’s revisiting it. It was my great pleasure to catch opening night for The Project(s) in 2015. I had the best talk with PJ that night and he was so passionate about the show, and rightfully so. It's an amazing piece of theatre, Chicago history, and social commentary. Right after that, he was gone so shockingly and suddenly in a car accident while vacationing in Scotland. We lost PJ far too early, at age 40, yet what a gift that his work lives on. 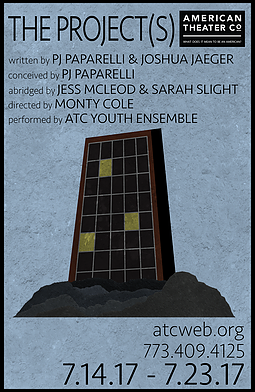 This year, ATC's Youth Ensemble (YE) will present an abridged performance of The Project(s), a critically acclaimed documentary play on Chicago's public housing conceived, co-written and originally directed by ATC's late Artistic Director PJ Paparelli and co-written by Joshua Jaeger. From 2010 to 2014, ATC's late artistic director PJ Paparelli conducted over 100 interviews with scholars, historians and former and current residents of Chicago's public housing at Cabrini-Green, Robert Taylor Homes, Wentworth Gardens and Ida B. Wells Homes. This verbatim interview material was combined with a capella, body percussion and stepping for the world premiere production of The Project(s), which was produced at ATC in 2015. In preparation for this year's production, the Youth Ensemble will meet with former public housing residents and historians interviewed for the original production, many of whom are featured as characters in the play, in order to bring their powerful testimonies to life. Earlier this year, ATC and the National Public Housing Museum (NPHM) collaborated to co-create an educational curriculum in Chicago Public Schools based on The Project(s). This curriculum and the newly condensed production of The Project(s) were both piloted in schools between the months of February and May, 2017. 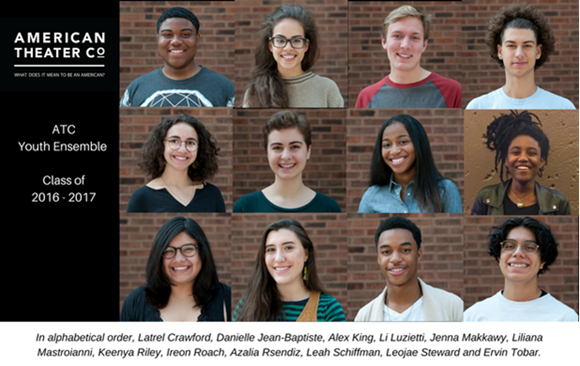 The Youth Ensemble identifies exceptionally talented, motivated and disciplined rising juniors who have a strong interest in pursuing theater at a higher level. These students audition to form a performance ensemble and become part of an intense two-year training program at ATC, with an annual production each summer. Youth Ensemble members participate in advanced scene study and master classes with some of Chicago’s leading theater professionals, and attend monthly outings to Chicago’s top theater productions. Each year culminates with a 5-week professional rehearsal process and performance at ATC. In their senior year, members are provided with extensive coaching in portfolio compilation and audition techniques for conservatory, liberal arts, and university admission.